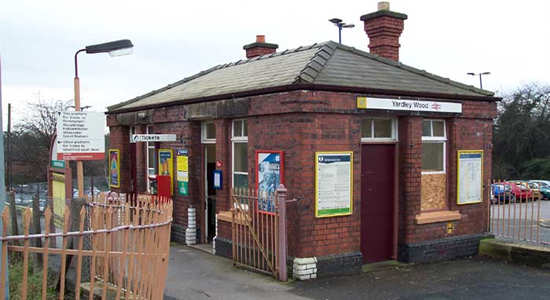 Yardley Wood station opened in 1908 on the GWR's North Warwickshire Line as 'Yardley Wood Platform' - 'platform' being peculiar GWR terminology for a hybrid of 'halt' and 'station'. 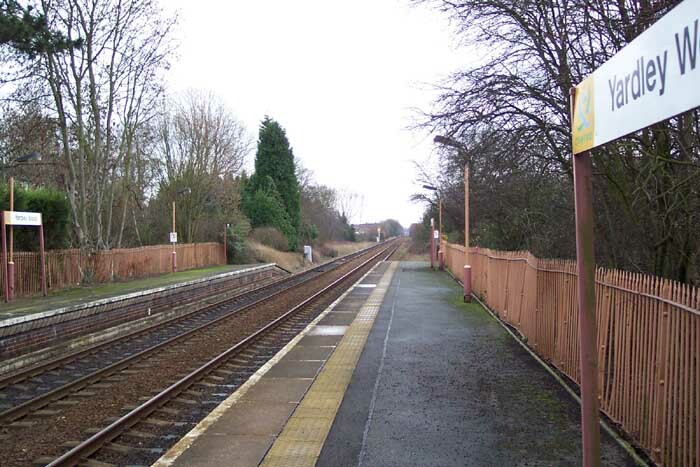 However, a station had been proposed for Yardley Wood in 1894 under the ill-fated Birmingham, North Warwickshire & Stratford-upon-Avon Railway which, apart from getting the required powers through Parliament to go ahead with the plan, foundered on financial grounds (amongst other things) and never materialized. The GWR took up the scheme and reworked the plans, obtaining Parliamentary powers in 1901. 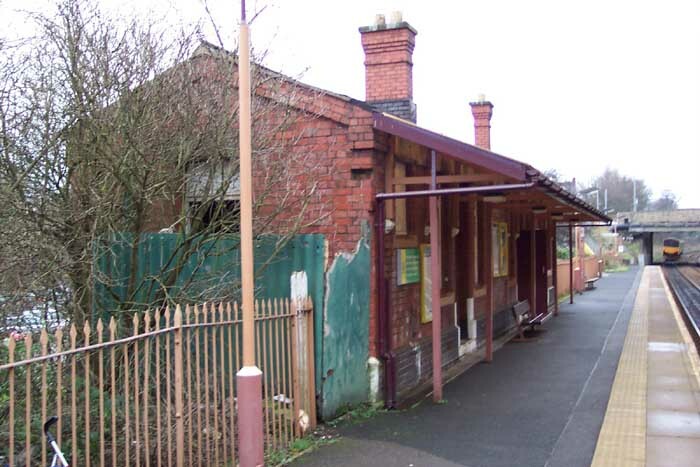 Above we see the entrance building to the station on Highfield Road - it appears to be an original feature although its precise original function is somewhat moot considering the considerable platform building that occuppies the site. 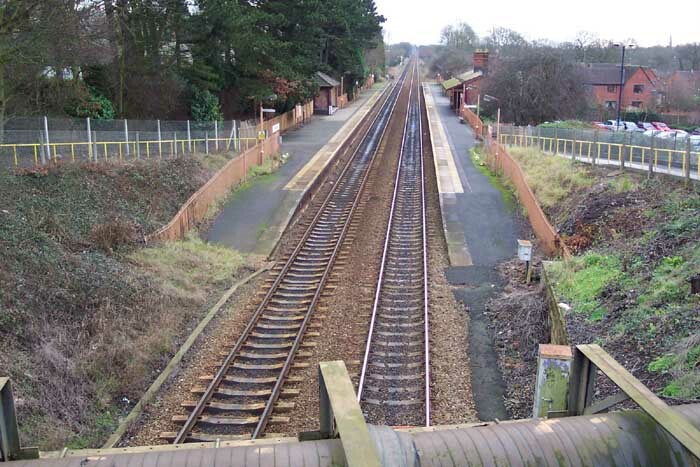 Above-left we are standing on the Highfield Road bridge over the railway looking at the station in the direction of Stratford and both of the original platform buildings are in evidence. Above-right we are standing on the Birmingham platform looking in the direction of Stratford: note the old railway railings on each platform! Above-left we are on the Birmingham platform taking a closer look at the platform building in situ. The structure is original and in good repair although other than its middle section being used as a waiting room, the rest of the building appears to serve no function. The end facing the camera I believe was once a toilet but it is now fenced-off. Above-right we are on the Birmingham platform looking at the Highfield Road bridge with the entrance pathway and bulding shown at the top of this page left of centre. 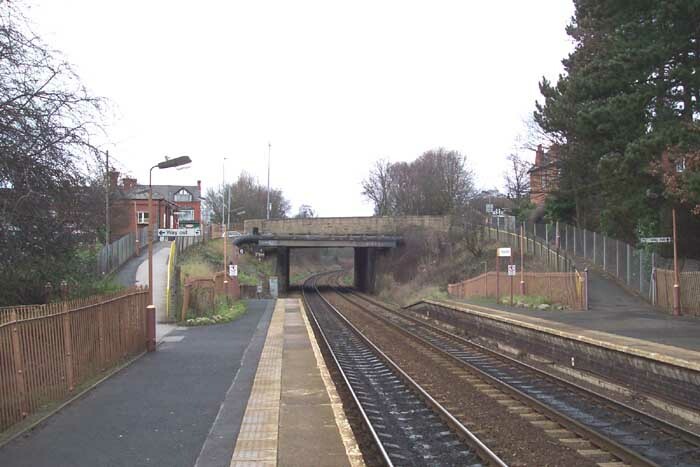 The station has remained remarkably untouched over the years and is significantly busy to be staffed and have a car park added as part of the 'Park and Ride' scheme.